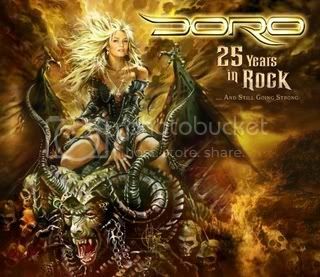 DORO PESCH Says She's Acquired Rights To WARLOCK Name - Full Band Reunion "Impossible"
Metal maven DORO PESCH is celebrating her years in metal with the stunning new 25 Years in Rock (And Still Going Strong) CD/DVD set. Recorded at the ISS Dome in Dusseldorf, Germany, it captures the energy of the performance and the essence of the true Metal Queen. 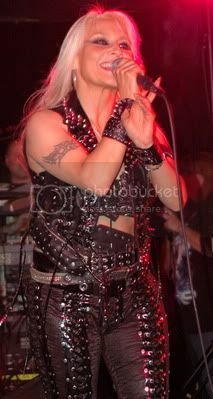 Doro called in to BraveWords.com to offer her thoughts on her raise to metal royalty. BraveWords.com: You live in the Tri-state area. What happened to you during Hurricane Irene? BraveWords.com: After that happened, did you think about canceling your upcoming tour dates? BraveWords.com: You’d had Mark Tornillo (ACCEPT) sing with you. In the past you did the song 'Dancing With Angels' with U.D.O. How do you compare the two? BraveWords.com: Will you ever do WARLOCK reunion show? BraveWords.com: You survived over twenty-five years in the business. How’d you do it?